After a summer constantly interrupted by wet weather, the archaeological dig at Tai Llyn is nearly complete. No's 2 and 13 were excavated and a preliminary dig report appears on the Tai Llyn page on this website. The Excavation Team were led by Bill and Mary Jones and comprised of members of the Cofio Cwmorthin Project and the Bro Ffestiniog Archaeology Society. It took over twenty dig-days to complete and included the excavation of the complete frontage of Nos 1 to 5. Left to do is a search for a possible well behind the stone-built section and if practical an excavation of one of the toilet blocks for that section. Strong volunteers will be needed to help with this are there are heavi stone blocks that need moving. Watch our Facebook page for news. 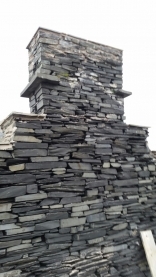 Despite the summer proving very poor regarding any building work our contractors D & C Jones have successfully managed to complete the capping work on Capel Tiberias, Capel y Golan, Rhosydd Stables and Tai Conglog. An Irish Bridge has been constructed between the Conglog track and Plas Cwmorthin and this will be monitored over the winter to see if it stands up to the floods often experienced up there. The trees around the Plas have been trimmed to prevent branches damaging the top of the walls which will soon be stripped of growth. The track which joined the Plas to Cwmorthin Uchaf has been strimmed to allow easier access for the work team and walkers. 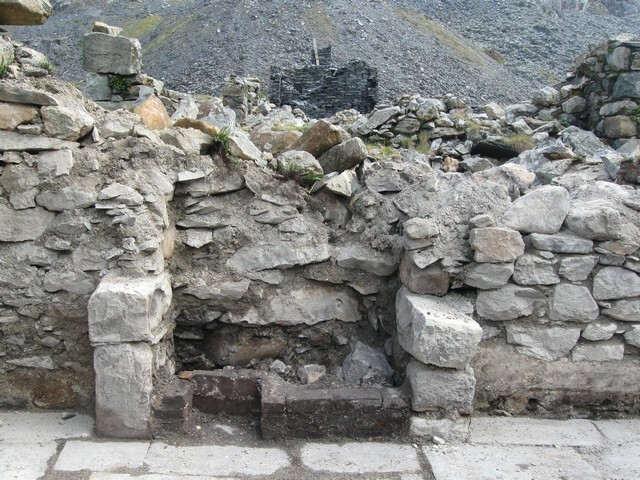 Work is due to begin on Cwmorthin Uchaf in the coming week. Watch for more updates...!!! 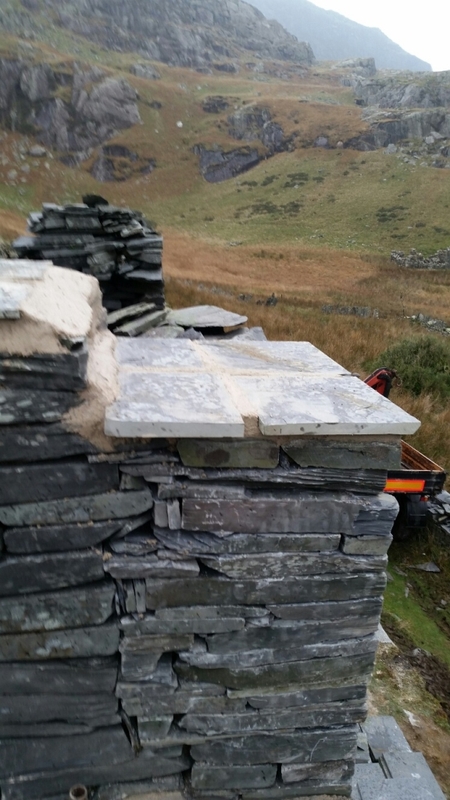 Before the bad weather set in contractors D&C Jones were able to complete the capping of Nos1 and 2 Tai Llyn/Cwmorthin Terrace. Here are some photos of the excellent work done. Also featured are a couple of views of the now cleared No13 - the end stone-built cottage. This will be archaeologically investigated in the Spring as l either No1 or No2 after further assessment. No13 has already surfaced an intriguing animal skeleton, buried behind the fireplace. 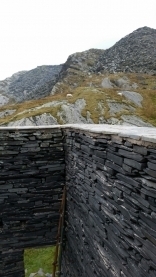 “Tir-a-Môr first became in involved with Antur Stiniog in 2009-10 offering grant support for the creation of a low level path / cycle route around Tanygrisiau Reservoir. Unfortunately, problems with land access permissions and additional funding has meant that the project has not been able to progress within Tir-a-Môr's funding window. This grant brings the total funding to within £10k of the target required for the work to be completed during 2015. “Work continues at Tai Llyn terrace and capping is now complete on the two most threatened end cottages. The iconic chapel, Capel y Gorlan, will be the next in line with some remedial work hopefully being carried out before Christmas. 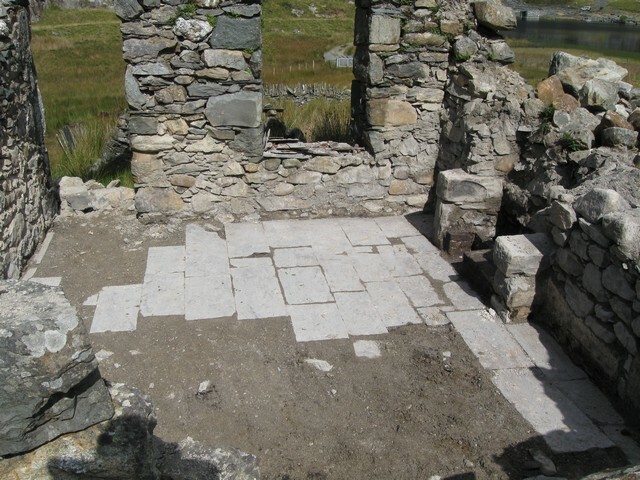 The Cofio group was set up in 2010 to research the history of the valley and its people which at one point during the slate-rush provided a home for some 200 people. The last family moved out in 1948 and only one person survives who actually lived there. Archaeological digs have been carried out and will continue in 2015. 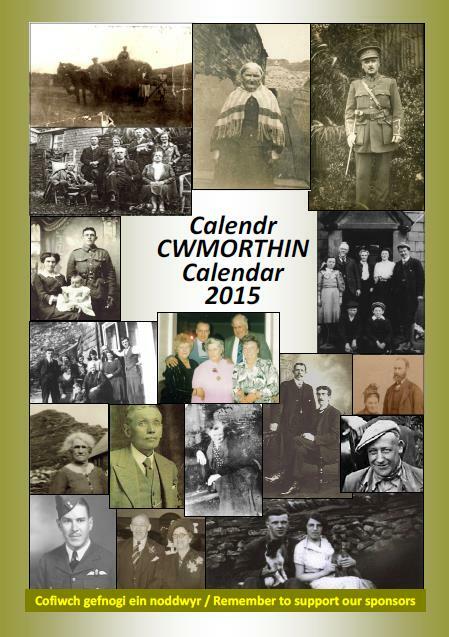 Virtually all the Cofio Cwmorthin Remembered calendars have all been sold. From a total print run of 250 all but 16 have bee sold. The remainder are on sale at a reduced price of £5 at Brethyn Blaenau and Siop Antur Stiniog. Support from local businesses in the form of advertisements in the calendar helped cover nearly half the print costs and without their support the idea would not have been viable. The Cofio crew would like to express their sincere thanks to all the business owners for their support. Our sincere thanks also go, of course, to all those who supported the project by buying the product! Such backing by the community and visitors alike proves invaluable to the cause. A raffle held on the “Noson Goleuo Stiniog” in aid of the Cwmorthin Project has raised £66 and was won by Simon Anthony of Tanygrisiau. The Cofio Cwmorthin Remembered group would like to express their sincere thanks to Mr Dodd for his kind gesture. Plans are underway to invite a high ranking member of the RAF to read the eulogy and to notify the American Embassy and Canadian High Commission so that they may send representatives in memory of two of the victims. Cofio Cwmorthin Remembered would like to thank all the local people and businesses who donated the money for the memorial plaques to be made. Thanks also to Andrew Roberts of Greaves Welsh Slate for providing the slate block on which the plaques have been mounted and to Len at Maricraft Ltd for making the plaques. Hughes Specialist Transport of Manod kindly transferred the block from Llechwedd Quarry to the Church and many thanks to John Jones of Tanymanod for attaching the memorials. “This has been a long drawn out project which will now come to a satisfactory close. “It was during our research into the history of Cwmorthin that we discovered the tragedy involving Robert Bruce McIntyre on the slopes above the valley. “In a discussion with the late Evan Llewelyn Thomas we discovered the details of the other fatalities. He was sad to reflect that there were no memorials to these young men. “As a result we decided to go ahead with the project and renowned air-crash author Eddie Doylerush became involved as an advisor. 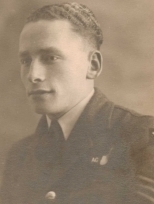 “Announcements were placed in the newspapers covering the towns in which the airmen were buried in the hope of finding relatives. We were successful on two counts, Parkhurst and Killen, and McIntyre’s family were traced back to Kamloops in British Columbia. “We sent an account of the crash to Canada together with a small piece of the wreckage which they requested for closure. If we can find a volunteer we would like to video the service on their behalf. 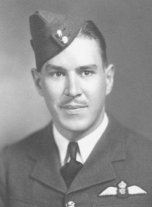 Air Gunner Sergeant Peter Martlew survived when the rear turret detached on impact. Just in time before the March deadline our bid for grant funding from the Heritage Lottery Fund went in. Having teamed up in partnership with Antur 'Stiniog Cyf. under Ceri Cunnington, group members Mel Thomas, Bill Jones, Catrin Roberts and Evan Dafydd Roberts completed the work by March 28th. Weeks of hard work were involved getting the bid up to the strict criteria called for by HLF Wales and we have been informed that we can expect a decision on May 31st. The Royal Commission on Ancient & Historical Monuments of Wales based in Aberystwyth. Deri Jones and Associates, Machynlleth, who are renowned specialists in laser scanning and have carried out such surveys of Cwmorthin Ucha and Tai Llyn. Snowdonia National Park Study Centre, Plas Tanybwlch; nationally recognised industrial and heritage artist Falcon Hildred among the many. Local contractors D&C Jones Ltd have been awarded the capping contract and work will commence if and as soon as the funding is announced. Huws Gray Ltd have kindly offered materials at a discount price and Greaves Ltd will be supplying slate capping slabs. 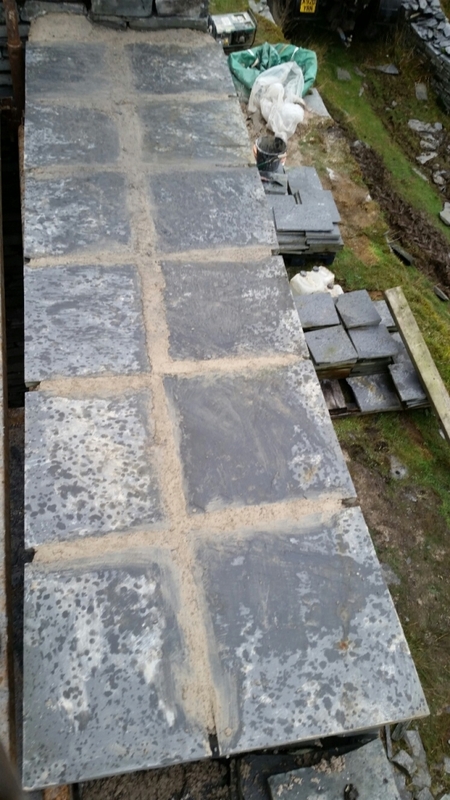 D&C Jones have already carried out emergency work on Tai Llyn which has undoubtedly saved the terrace from weather damage during the February storms. The restoration consultation was carried out by Ned Scharer of The Natural Building Centre Ltd based at Llanrwst. He will hold training courses on lime cement use in conservation work. A watching brief will be undertaken by Ian Brooks of Engineering Archaeological Services Ltd of Glanypwll. Watch this page for further news on this subject. In November 2013 we set up an appeal to enable emergency work to be carried out on Tai Llyn and it drew a remarkable response. Grants of £1000 each were obtained from Magnox plc and the Snowdonia National Park's CAE sustainable development fund. Fforwm Plas Tan-y-bwlch donated £100, Mr Vanstone at the Oakley Arms added £100 as did The Cambrian Angling Association. Brethyn Blaenau/Oriel Moelwyn raised £110 through the selling of all-year use cards at Christmas. Individual donations are listed on the right. In the next few weeks a dig will start at Tai Llyn. It will be in two phases starting with the clearance of either No1 or No2 down to the original floor level. Once No13 has been cleared by the contractors the same will be done there but this will not be until the conservation work is underway. For the moment we will be concentrating on the first phase with Project Archaeologist Bill Jones in charge. We will announce dates when confirmed but volunteers will be most welcome.